Assuming the latest installment of a franchise for a tv series would otherwise have been a good guess, especially with the rave reviews X was getting in those days. Eventually the season 2 episode Mega X would prove them half right. Wow, a female character? Because Mega Man’s never had one of those before. Can’t wait to find out more about this Rool person. So did I really just make a post to make fun of a 15 year old typo? Yes, I sure did. This is exactly the kind of thing that the internet was built for. Possibly. In the future I’ll have to remember to do less Wednesday posts. 2 Comments to "Gamepro Rools the MM Cartoon Info"
Oh lol. XDDD That first blurb isn't even consistent with the promo footage. 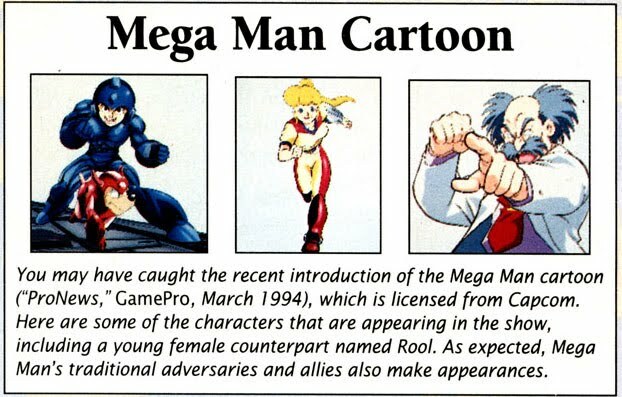 LOL, Gamepro misspelled Roll, Mega Man’s sister, a character that not everyone knew since she only appeared in the endings of some of the game back then. Then again, Gamepro is often remembered as not being a good video game magazine. 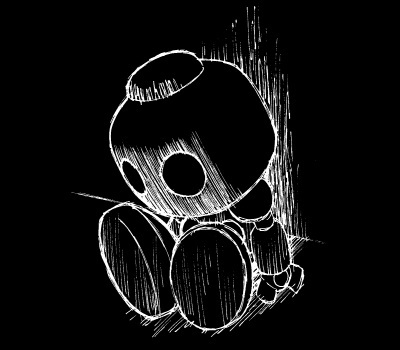 « I think this is awesome.